Google is making it easier for businesses to reach their market customers, and through the PPC campaign feature of AdWords, you can be one of the many companies that are efficiently managing their marketing strategy. Here is what you need to know about the PPC account structure and how it works. What Is a PPC Account Structure? Pay-per-click (PPC) account structures refer to models of Internet marketing where advertisers pay a fee every time one of their ads is clicked on by a user. In other words, advertisers can buy visits to their web site instead of trying to earn them naturally. One of the most popular forms of this paid search account structure is search engine advertising. This form allows advertisers to bid against other advertisers for ad placement in a search engine’s sponsored links section. Each time the ad is clicked and a visitor is directed to your web site, you will need to pay the search engine a small fee. With this system properly in place, the fee is much lower compared to the value of more customers visiting your web site. For example, if you pay $2.00 for one click, but that click results in a $200.00 sale for your company, you’ve made a serious profit. A lot of work goes into building the perfect PPC campaign structure that profits your business. It includes researching, choosing the right keywords, organizing keywords into the right campaigns and ad groups, setting up PPC landing pages for conversions, and more. If users enjoy your ads and landing pages, search engines like Google will charge you even less per click, which will help you gain higher profits for your business. Keeps you organized and able to optimize your campaign. 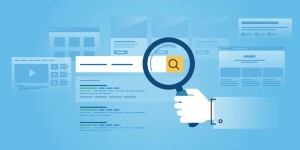 The following tips can help you enhance your local paid search campaign. Businesses should continue organizing their campaigns by geographical location and target the top cities in that area. They should also assess nationwide campaigns with location bid modifiers, which allows for improved efficiency across the board. There are benefits to creating a blend of localized and nationwide campaigns to reach more people. There is a lot of room for improvement, but the real question is, how much improvement is possible and is it worth the time you spend on optimizing local performance? You can determine the room for growth by looking at the return on advertising spending (ROAS) distribution across your campaigns and locations. Look into the logical block addressing (LBA) impact and determine what a good next step is. This is often an area where most marketers get stuck; to avoid that, build cost and revenue models for each of your campaign/local pairs by LBA. Better quality ads usually result in lower PPC costs and better ad positions on search engines. AdWords is one of these platforms that works best when ads are relevant to what users are searching for. The general text ad structure includes one headline (25 characters), description one (35 characters), description two (35 characters), display URL (35 characters), and destination URL. Keywords have a huge impact on your presence on Google, so be sure to do your research well to find out what your prospects are searching for in relation to what your business can offer. Numero Uno Web Solutions is a content marketing agency in Toronto that specializes in helping startups and small businesses improve their web site’s SEO, AdWords PPC group campaigns, and more. We have benefitted businesses in Toronto, Richmond Hill, Vaughan, and we have even extended our services to Texas, Massachusetts, and Florida. To learn more about our content audit software, tools, and services, call us at 1-855-SEO-XPRT.